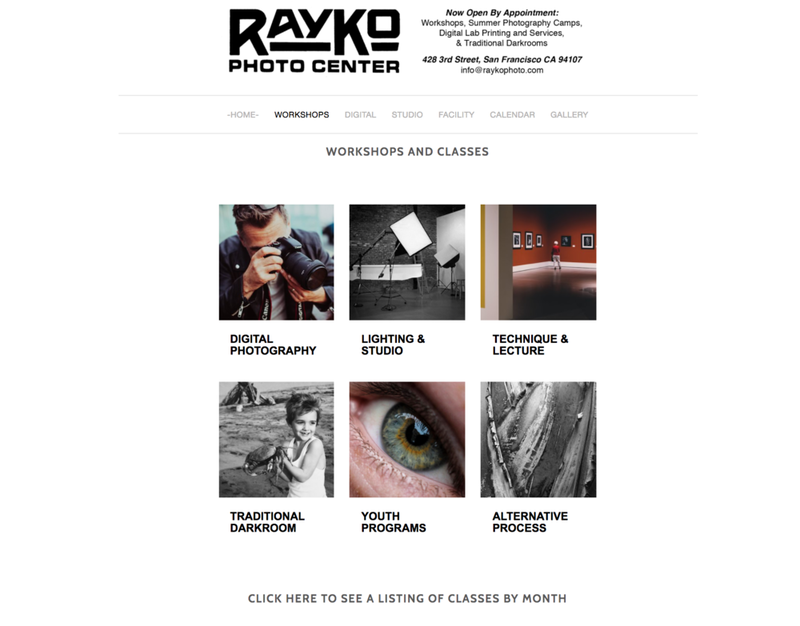 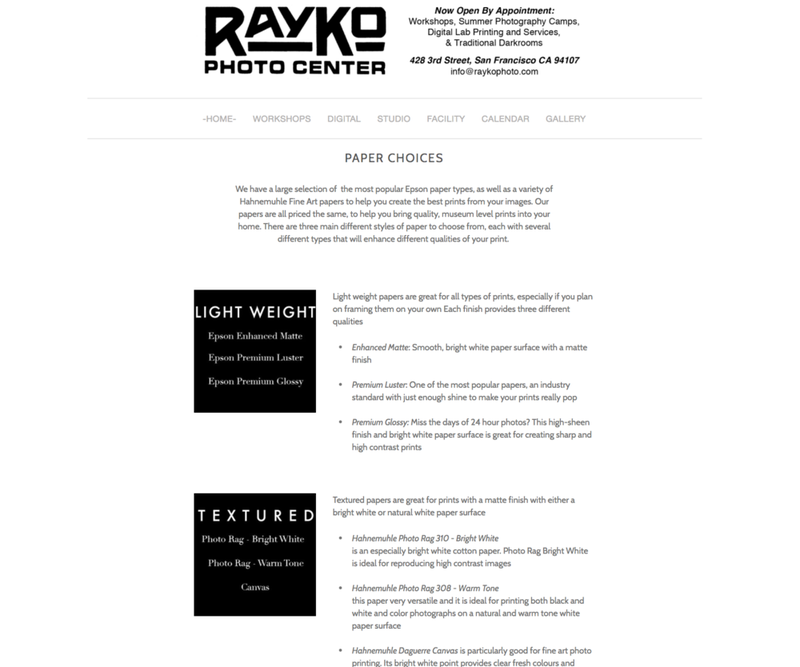 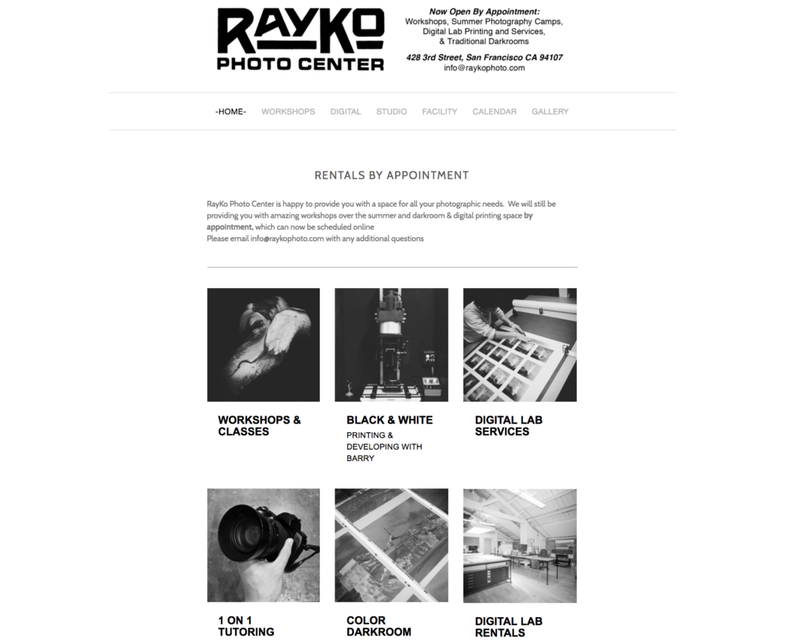 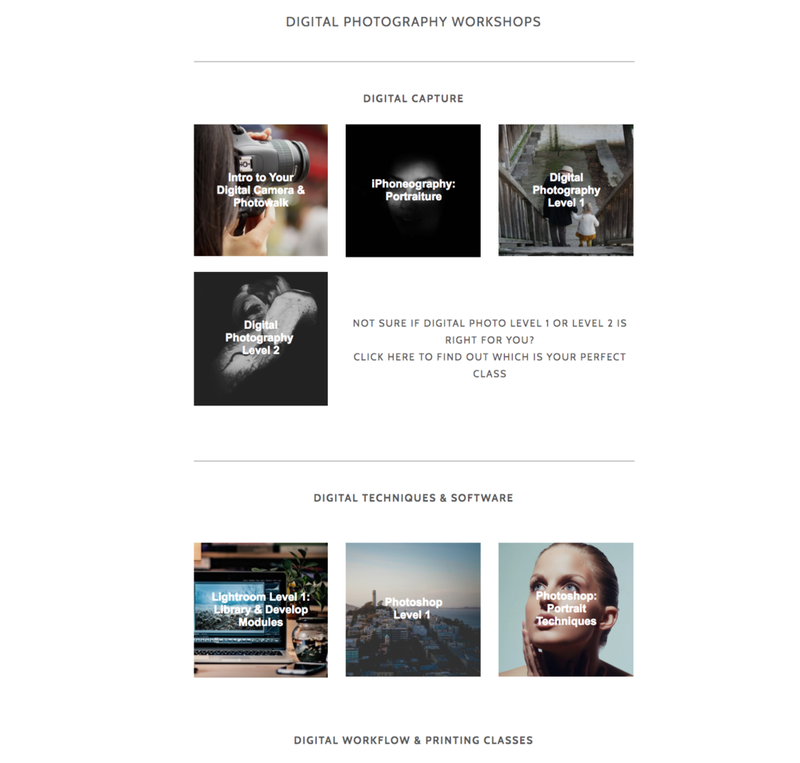 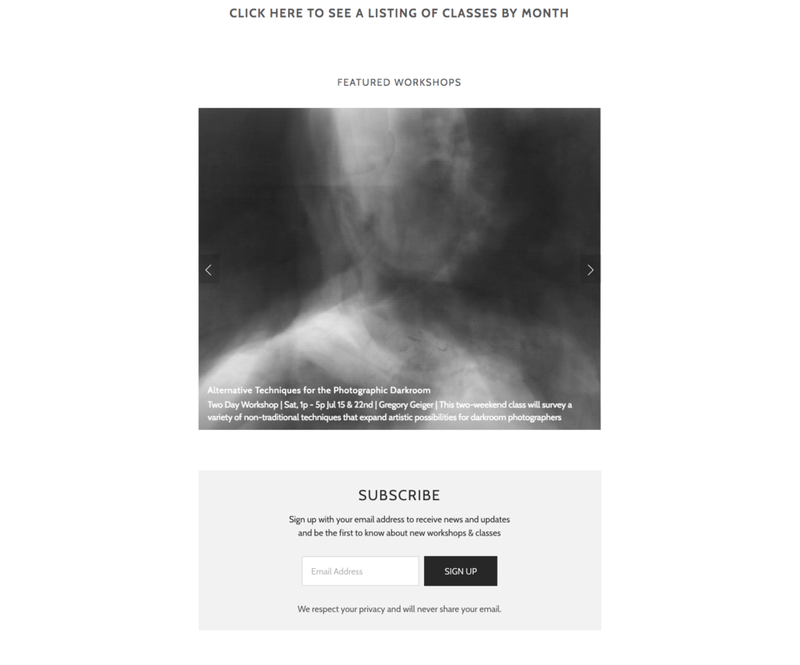 Curated web assets and created additional copy for RayKo Photo Center's various programs, including workshops & classes, color darkrooms and digital print rentals . 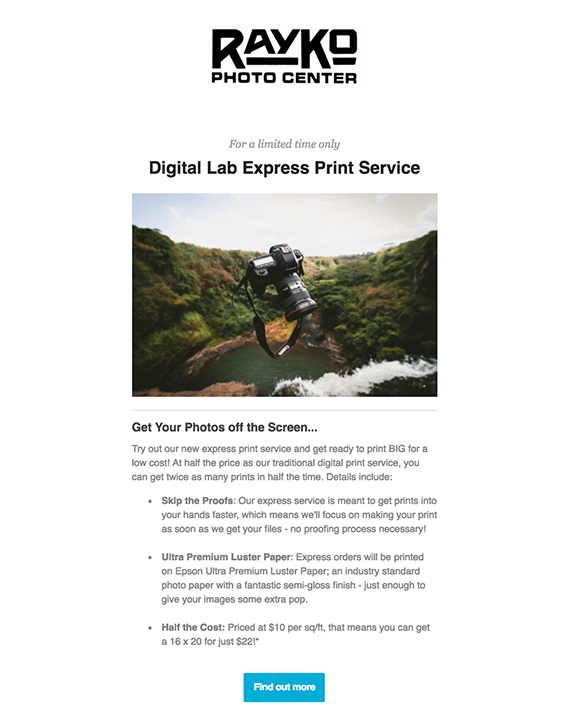 This included maintaining the web pages, managing digital assets, running marketing campaigns across various platforms including Mailchimp, Facebook Ads, and Instagram Insights. 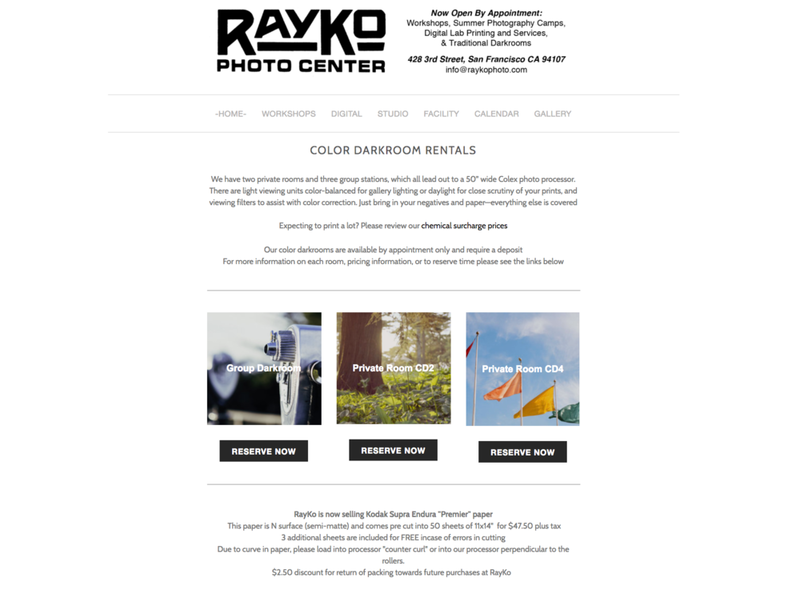 Additional responsibilities included creating copy, curating student images, and managing copyright and licensing for any additional promotional images. 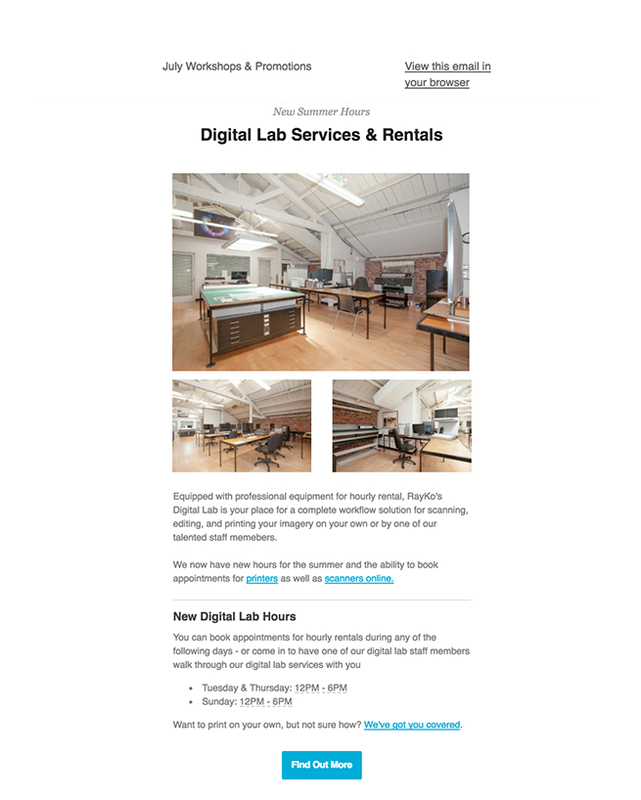 In an effort to streamline our appointment based business, I created a reservation template utilizing acuity scheduling for our services and integrated it onto our website - allowing us to expand potential clients and send appointment reminders via text or email to clients.